Upbeat manufacturing data out of China lifted market spirits. Investors shifted to risk-on mode, moving out of global bonds and into equities, the demand for the dollar easing across the board. UK Parliament members debate today on alternatives to a Brexit deal. The dollar eased across the board, as investors shifted to risk-on mode. US equities are opening higher and UST 10Y yields are higher by 3 bps to 2.44%. Plenty of US economic data will be released this week, including the all important labor data on Friday. The UK pound again traded briefly under $1.30, then made gains ahead of UK parliamentary debate on various Brexit deal alternatives. EC President Juncker said yesterday that the EU’s patience is running thin. 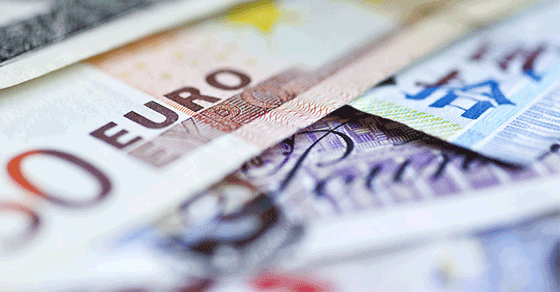 The euro made small gains even as German economic data fell more than expected. Factory orders contracted again in March, suffering their steepest drop since 2009, and employment dropped for the first time in three years. The Canadian dollar moved little overnight, holding its gains made last Friday following unexpectedly strong GDP in Canada. The Japanese yen fell for a third day as market risk eases, reducing investor demand for the safe-haven yen. The Chinese yuan changed little overnight. Investors have been eager buyers of China’s equities and bonds, as China implements measures to boost their economy. China’s manufacturing PMI rose, as did the private Caixin manufacturing PMI, an index for China’s smaller and private firms. The Turkish lira dropped as much as 2.3% following weekend municipal elections in Turkey, which saw Turkey’s President Erdogan’s AK party lose in several key cities.